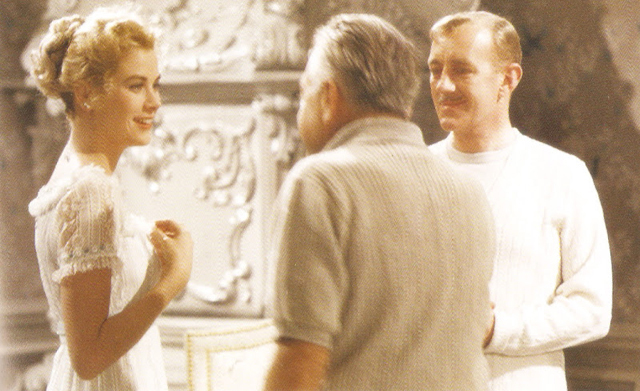 This Friday, June 20th, Christie's will auction off one of Grace Kelly's dresses from The Swan (1956) in London. It is an exciting occasion. Created by MGM legend Helen Rose, this is an example of influential costume design that also immediately impacted fashion and continues to do so today. Last year I wrote for Christie's when Elizabeth Taylor's first wedding gown was up for auction (also by Helen Rose); I inspected that magnificent gown in person and witnessed firsthand the level of quality and craftsmanship that came from the team at MGM. This year Christie's honored me again by asking me to write about The Swan for the article that accompanies Grace's gown in the auction catalog (Lot 50, page 26-7). That article is reprinted below and I've also included photographs that help illustrate the story of this incredible dress. 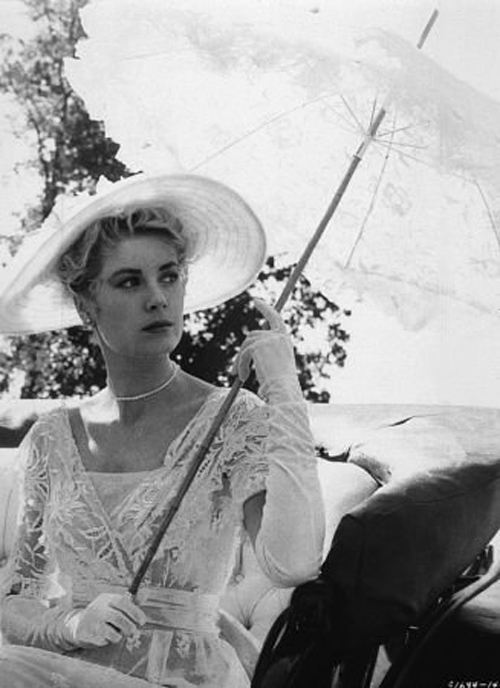 Few names are as equated with style as Grace Kelly. 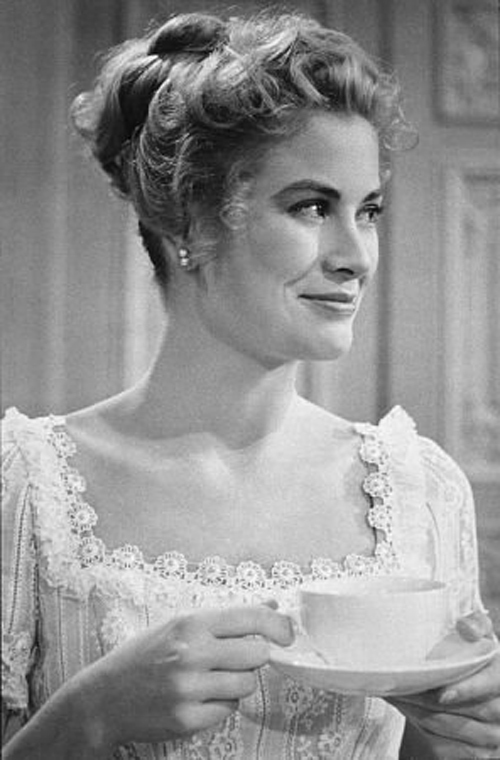 The Oscar-winning actress was one of the most beautiful women in the world and celebrated for her classic ladylike look. Her style is so timeless and influential that it continues to inspire everything from museum exhibitions to movies, magazines, books, and, of course, fashion. Though she had one of the briefest careers in film—starting in 1951 and ending in 1956 when she became the Princess of Monaco—her impact was immediate. Other stylish stars worked for decades in film; contemporary Audrey Hepburn, for example, had a career of over 30 years. Grace built a lasting legacy in only five. The brevity of Grace’s film career means that everything related to it is that much more valuable. Costumes for her that came from MGM are especially significant as it was her home studio and considered the best of the best. MGM’s costume design department was legendary—a full-scale garment factory with seven buildings and more than 500,000 costumes in stock. The 150 skilled artisans who created those costumes were, as Grace put it, “top-flight and...worked to perfection.” Without question, this perfection and commitment to quality were exemplified by MGM’s head costume designer Helen Rose. The Swan was filmed in 1955 and, for many reasons, was a very special shoot for both Helen and Grace. 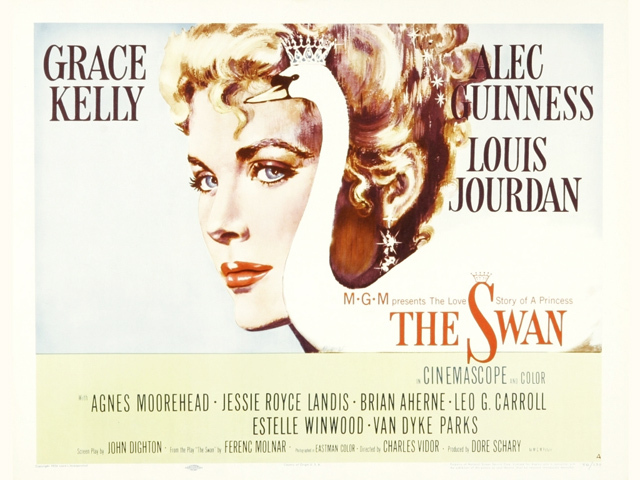 After a few years of being loaned out to other studios—including Paramount for Rear Window (1954) and To Catch a Thief (1955)—The Swan was Grace’s homecoming at MGM. 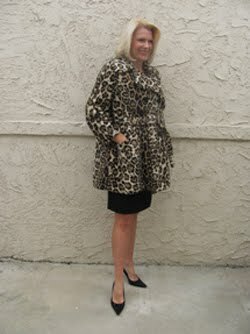 It was also finally the opportunity for Helen to create a beautiful wardrobe for her friend from top to bottom. Grace’s early years at MGM consisted largely of rough and rugged costumes, such as those in Green Fire (1954), and gave Helen “little opportunity to design feminine, glamorous outfits.” In contrast, “The Swan was a designer’s dream” and one of their favorite films working together. Grace played a princess in The Swan, so Helen approached their project with absolute “gusto” and used the finest fabrics she could find. Though this costume for auction looks light as a feather, the lined lace dress is substantial with the most sublime construction. It is also intricately detailed...from the precious pearls in the center of each ‘flower’ of the neckline to the delicate fabric-covered buttons and closures down the back. 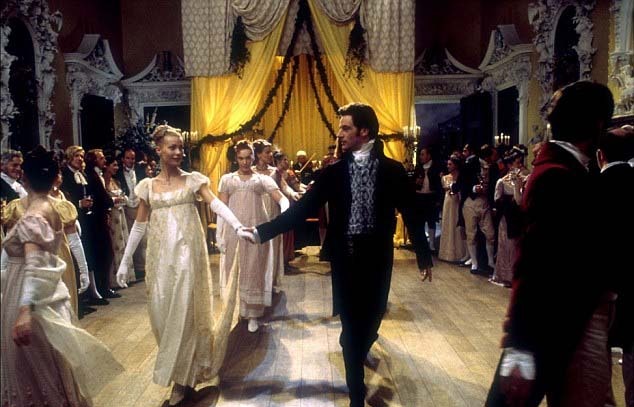 Grace “adored everything about the clothes” for The Swan, but especially swooned over the ball gown and this equally “exquisite [and] feminine” day dress. One film to do so was The Swan. Set around 1915, the costumes brought about the return of the empire silhouette—a high waistline and straight semi-slim skirt. All of it perfectly fit Grace’s poised 5’6 ½” figure. 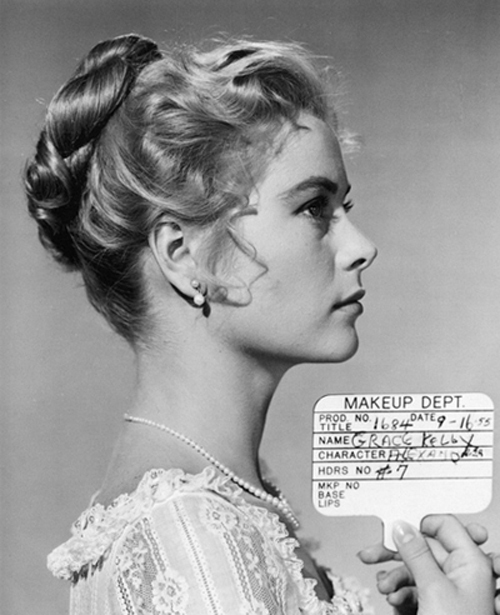 Reports from the set said that she “looked like an angel” in her narrow dresses and soft hairstyles, so MGM began circulating publicity photos for the film. 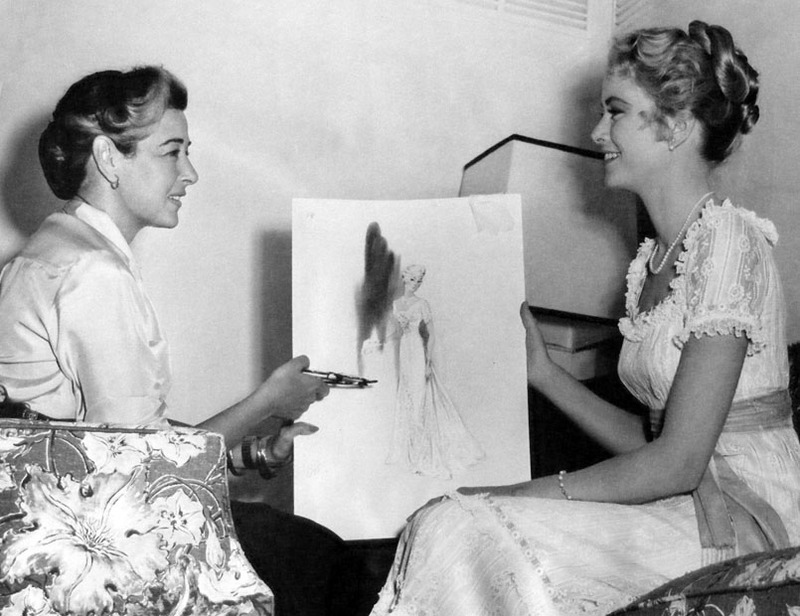 The most popular picture—Grace and Helen looking at a sketch from The Swan (shown above)—featured her wearing the very dress that’s up for auction now. As a result, this costume immediately began to inspire designers in 1955 and set trends in fashion. On a deeper level, The Swan also represents the time when Grace was falling in love. In April 1955, she flew to the Cannes Film Festival and met Prince Rainier Grimaldi. They began a private correspondence just as she returned to America to begin filming The Swan and their relationship continued throughout it. Their courtship did not last long—by December, Rainier had proposed. 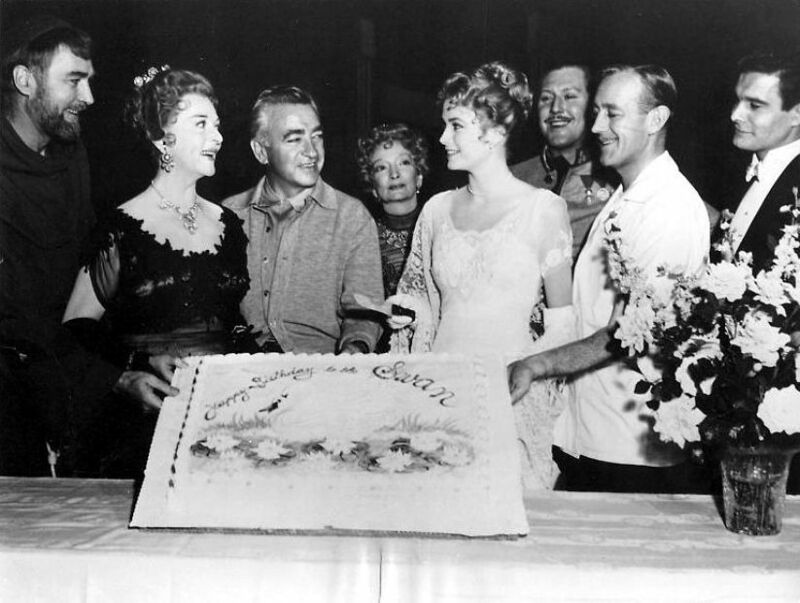 MGM may have had mixed feelings about losing their star, but they were thrilled with the marketing opportunities they saw from the marriage. 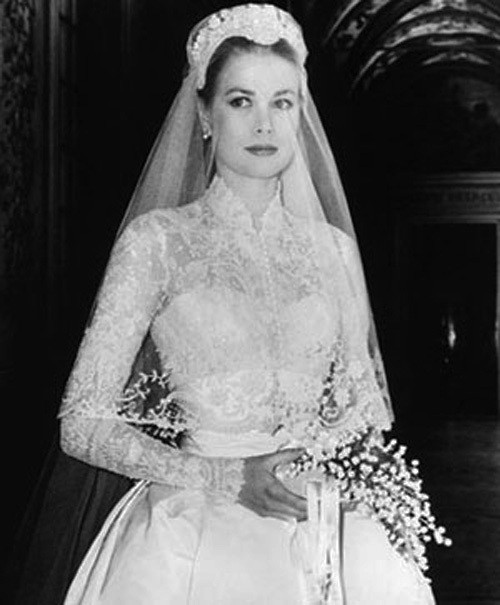 One of their gifts was the wedding gown itself, which was also designed by Helen Rose and has become iconic. It still wows the world—designer Sarah Burton recently paid homage to it with her wedding gown for Kate Middleton. 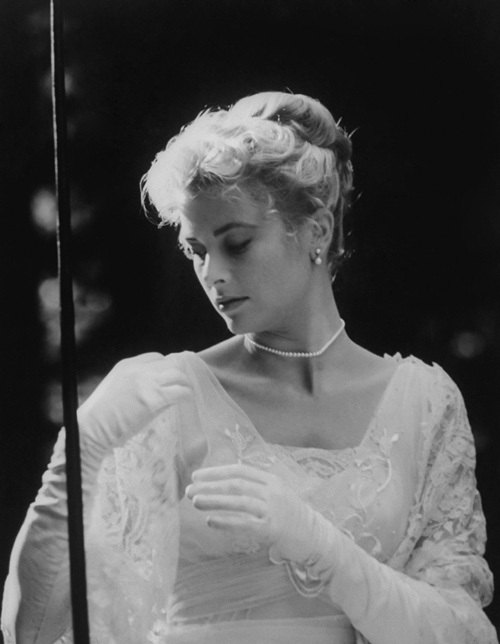 Not surprisingly, MGM also perfectly timed the premiere of The Swan—the story of a princess betrothed to a prince—with the wedding of Princess Grace to Prince Rainier in April 1956. 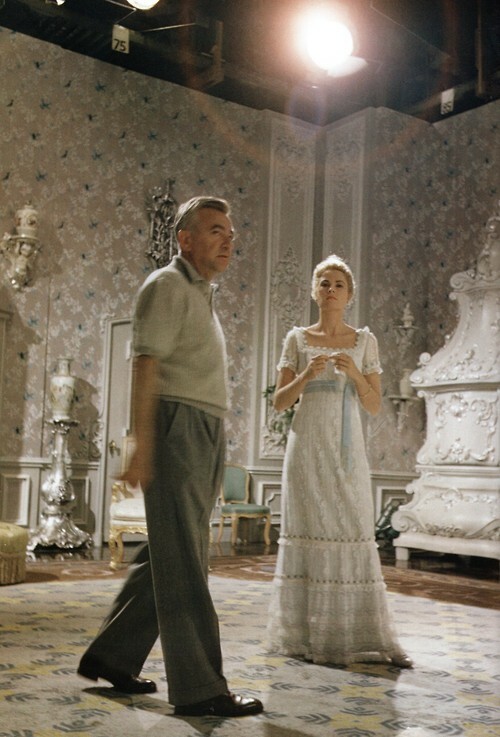 This lovely lace dress from The Swan represents so much that’s special to Grace Kelly. It is from one of the few films that she did during her meteoric five-year career and one of her masterpieces from MGM. The great Helen Rose designed the costume with particular inspiration from her star, muse, and friend. The design for this dress, in particular—with its square neckline, empire waist, and narrow skirt—was beloved by Grace and an immediate hit with the public that still influences both fashion and costume design (think of Gwyneth Paltrow in 1996’s Emma). 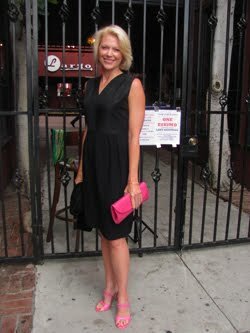 In a way, this dress is also a historical document. 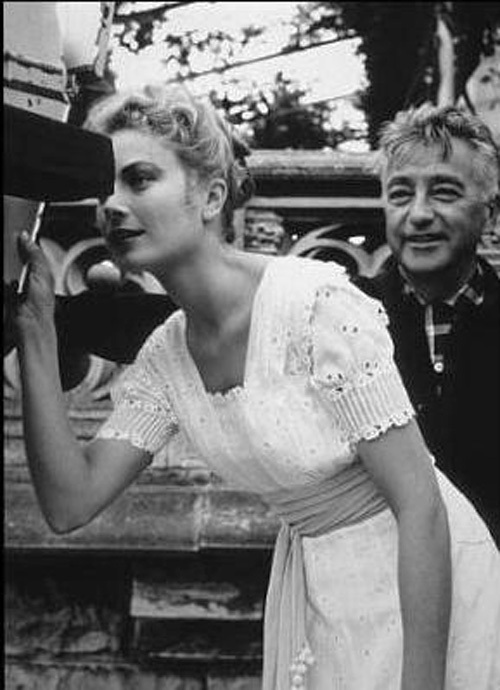 Filming for The Swan coincides with much that had to do with her wedding—from meeting Prince Rainier to the proposal to the planning. And so, we know while wearing this dress, Grace Kelly played a princess in film while actually preparing to become one in life. A beautiful summation of this beautiful costume Kimberly. It is such an important piece and appears to be in very good condition. Helen Rose was very happy to have the opportunity to work with Grace again after seeing the marvels that Edith Head had designed for her. 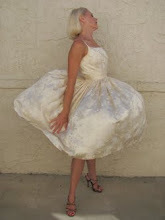 This costume is marvelous, and Grace's wedding Gown that Helen Rose designed and had made at MGM is beyond beautiful. Thank you for sharing your catalog piece with us. Thanks Christian! So happy you enjoyed it. 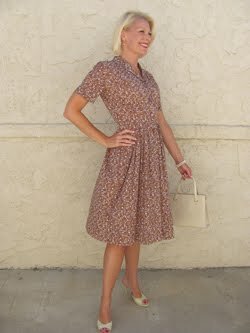 The dress is in good condition, though it has been altered in its length and somewhat in the shoulder by the previous owner. This is yet another costume that was sold and bought at the infamous MGM auction in 1970. It was fascinating for me to reflect on the totality of this dress' history in doing this article for Christie's. Helen Rose and the team at MGM were just genius, and I always enjoy the opportunity to celebrate them. 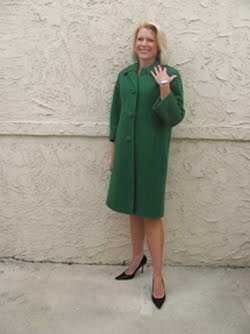 Looks to me the alterations over time also included adding a row of lace trim to the sleeves. 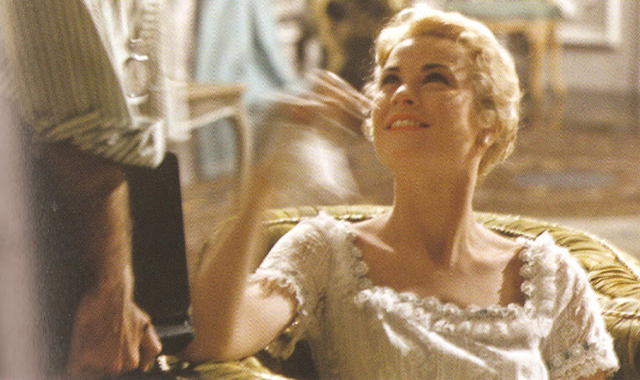 Grace didn't have that extra row of lace on hers in the film. One little correction on your writing (just something that drives me a tad nuts but probably does not bug others), when you show a photo of a costume or a make-up camera check, it's just that - not a screen test. A screen test is an actors performance test. When I saw the first photo in your post, I thought, "Why does that dress look so familiar?" It would have driven me crazy had you not pointed out that it influenced the costumes in "Emma" – among other things. I just did an online search of Helen Rose's creations and honestly I don't think there's a single piece I dislike. It's rather inspiring to look at her work. Beach Gal, the dress did indeed have some alterations. I mention a couple here in the comments. 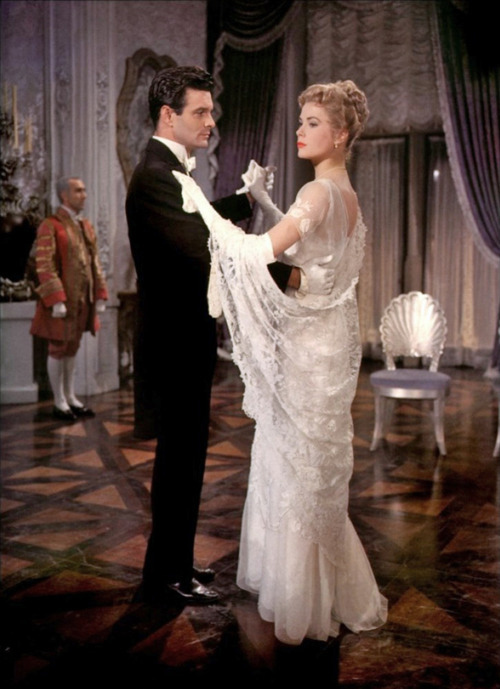 My article's purpose was to discuss the history of the dress and its importance in both film and fashion. Christie's discussed the alterations and went into them at length with interested buyers. As for the mention of "screen test" in the caption, I was just being cute. I'm well aware of what a screen test is. Thanks Ruth! 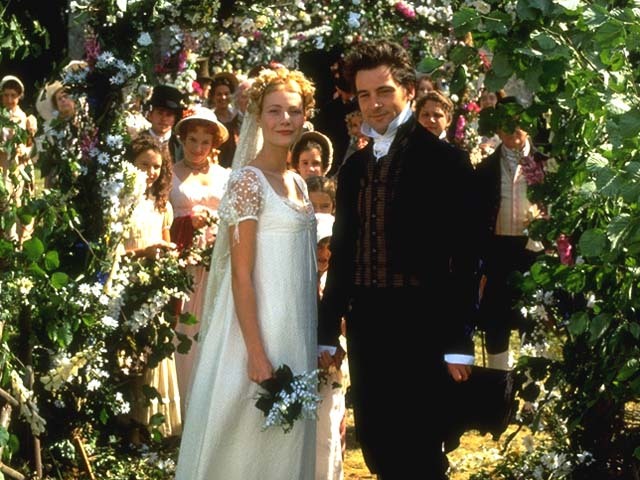 I know...the influence of this dress is really something and the way they did the costume design (and overall styling) of Gwyneth Paltrow in EMMA is a complete homage. I remember that the look from EMMA was huge at the time in fashion. It's part of what helped make Gwyneth a star. And yes, Helen Rose. How much do we love her? It's really remarkable how many great films she's done and how many great costumes she's done. She's one of my heroes. 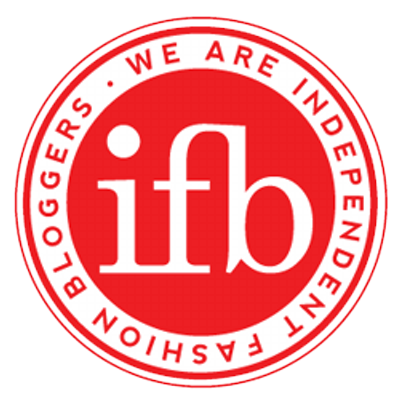 You'll find a lot of her work here on GlamAmor through the 'Helen Rose' category tag in the sidebar. So inspiring...a master at color combinations and meticulous in her designs.